This book is a quick and easy escapist read with a fun setting and interesting characters. The mystery itself wasn't all that difficult to figure out but the antics of the ghosts kept the pages turning quickly. At the very end there's a special appearance by the ghost of an extraordinary horse that brought tears to my eyes. It was completely unexpected and unforgettable. Now I need to catch up with Cookie's previous adventures! From the publisher: Tricia Miles, mystery bookstore owner and amateur sleuth, is in for a surprise when her ne’er-do-well father, John, comes to town—and promptly becomes a prime suspect in the murder of a woman with her own scandalous past. Even Tricia’s faith in the old man is shaken when the Stoneham police break the news that her father is a known con man who has done jail time. 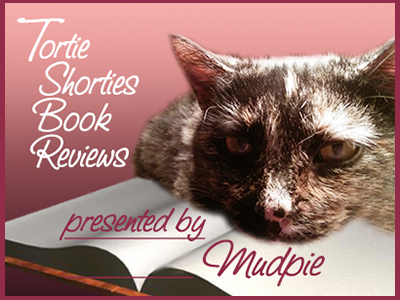 Tortie Shorties Review: This is a series that I adored and read religiously for years but for some crazy reason the last few titles never left my TBR pile. I decided it was time to revisit Stoneham and it was so wonderful to spend time in Tricia and Angelicle's cozy little world once again. The sisters' lives are thrown into a turmoil when their father John comes to town. He's a con man and in no time at all gets into trouble when a local woman is found murdered after arguing with and slapping both John and an author visiting Haven't Got a Clue for a book signing. The victim has quite a colorful past herself, but of course John tops the suspect list. Adding to Tricia's troubles is the fact that her home above the shop is being renovated, forcing her to live elsewhere, and her separated (and unlikable) parents are making life miserable for the whole family. A second murder of another suspect was a complete surprise, and the resolution kept me guessing until the very end. 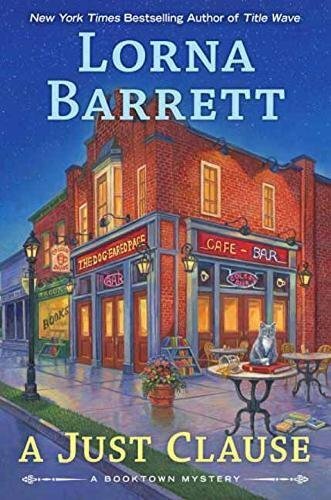 If you're new to the Booktown mystery series I would highly recommend binging on the entire series this summer. A Just Clause is #11 and the delightful cast of characters is still going strong! I know I've said it before, but I always look forward to your book reviews! You have contributed a great many books to my to-read list. Happy Monday, Mudpie and Melissa! Great reviews!! I'm going to see if these titles are available at my library!! 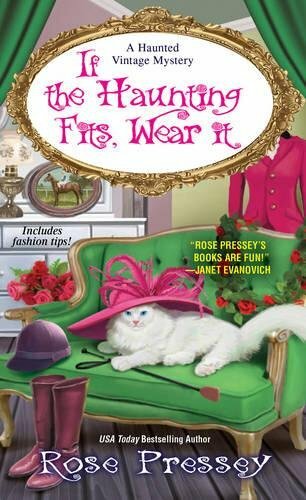 I've only read one of the Haunted Vintage mysteries, and it was a lot of fun. Looking forward to this one! If the Haunting Fits, sounds really good. I love the cover too. Mom Paula says she can add this book to her list to read now that she has some "free" time on her hands.